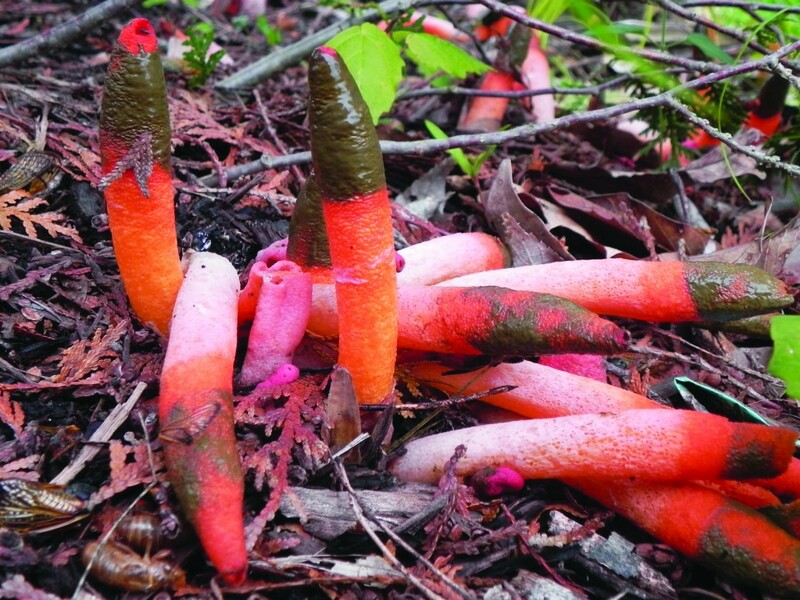 Usually at least partially submerged in the ground; appearing like a whitish to pinkish or purplish “egg” up to 4 cm high; when sliced, revealing the stinkhorn-to-be encased in a gelatinous substance. Mutinus. Inspired by a Roman phallic deity. Elegans. A word derived from the Latin word for graceful. English speakers, unimpressed with the lovely etymological pedigree of the so-named mushroom, gave it colloquial names like the dog stinkhorn and the devil’s dipstick. Not surprisingly, mycologists and books like Mushrooms of the Midwest answer a lot of questions about M. elegans in the summer and fall, when the elegant stinkhorn and its smelly kin trespass in yards and gardens. 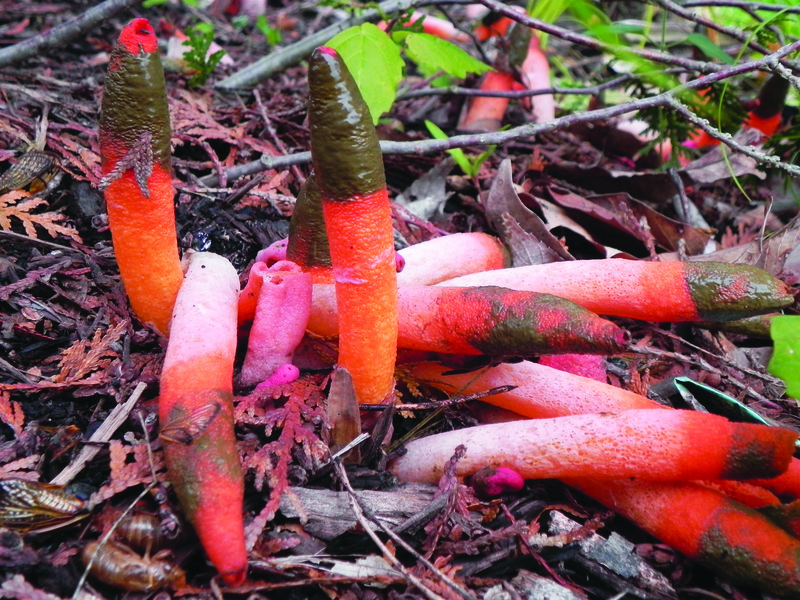 Yet for people with severe colds or those who go mushrooming in welder’s masks, the stinkhorns provide attractive fungal specimens arrayed in reds, pinks, whites, yellows, and oranges. Once the flies clean off the slime, that is.